Baked zucchini chips offer an alternative to fried sticks for a delightful late summer recipe. Preheat oven to 450°. Process breadcrumbs, basil and salt in a food processor for 10 to 15 seconds or until finely ground. Stir breadcrumb mixture and cheese in a medium bowl. Toss zucchini rounds in oil. 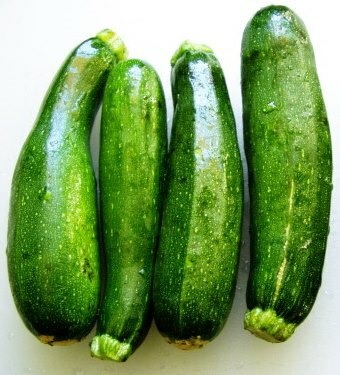 Dredge zucchini, 1 round at time, in breadcrumb mixture, pressing gently to adhere. Place rounds in a single layer in a pan coated with cooking spray. Bake 30 minutes or until browned and crisp. Serve hot with dip of your choice or plain. This entry was posted on Tuesday, August 19th, 2014 at 10:23 am	and is filed under Appetizers & Dips, Kid Friendly Fun, Lunch, Side Dishes, Snacks. You can follow any responses to this entry through the RSS 2.0 feed. You can leave a response, or trackback from your own site.